ANN ARBOR – Eleanor Singer, academic survey researcher and research professor emerita of the Survey Research Center at the University of Michigan Institute for Social Research (ISR), died on June 3, 2017. She was 87. A self-proclaimed “social psychologist at heart,” Singer was a respected authority on American public opinion and the ethical practice of academic survey research. Her fascination with sources of error in surveys, and with human behavior in survey conditions, inspired a prolific research career beginning in 1975. Among her significant accomplishments was her decade-long editorship at Public Opinion Quarterly, a role that elevated survey methodology as an academic discipline, according to U-M political scientist Michael Traugott. The connecting theme of her research was the validity of measurements—that is, whether issues such as privacy and confidentiality, informed consent procedures, or incentives have an effect on survey participation, bias, and the accuracy of survey response data. Her studies adapted to technological advances in survey settings over the years, and explored the implications of face-to-face, mail, phone, and online surveys. 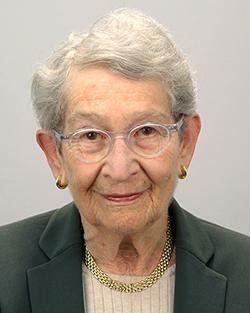 Her work continues to play an important role in the study of survey methodology. “Some people who don’t understand survey methodology as a scientific enterprise think that in a period of declining response rates and possibility of bias in samples that the quality of public opinion is on a kind of slippery slope of decline. What they don’t understand is that it’s actually a very vibrant and dynamic field, and research like Eleanor’s is conducted continuously to improve the quality of data collected,” says Traugott. Singer was born in Vienna, Austria, in 1930. When she was 8 years old, her family fled the rise of Nazi Germany in Europe and settled in Astoria, New York. She completed a B.A. in English at Queens College in 1951, where she met her late husband Alan Singer. In her early career, Singer worked as a book editor at various publishing houses, including Teachers College Press, and increasingly specialized in books about social science. During this time, survey research, public opinion, and polling began to grow as a field of study in the United States. Singer developed an interest in sociology—in particular surveys and survey research—and decided to pursue graduate school at Columbia University in 1959. She earned a Ph.D. in Sociology in 1966. During the course of her studies, she met and worked with illustrious mentors including Lazarsfeld and Merton, and her dissertation sponsor Herbert H. Hyman, who introduced Singer to public opinion research and survey methodology. She went on to conduct research at Columbia University and University of Chicago, and worked as a social science analyst at the U.S. Bureau of the Census. Singer was active in the American Association for Public Opinion Research (AAPOR). She served as AAPOR president from 1987-88, conference chair from 1984-85, standards chair from 1995-96, and counselor-at-large from 1985-87 and 1991-93. In 1996, she received the AAPOR Award for Lifetime Achievement. Eleanor is survived by her children Emily and Lawrence and her grandchildren.